Ridgewood Radio features concert recordings by adventurous bands and experimental musicians and restored archival tapes from private and institutional collections captured at venues large and small across the five boroughs of New York. It is produced by David Weinstein and Outpost Artists Resources operating out of the Ridgewood section of Queens, NY, where you'll find more yellow bricks than on the road to Oz and the cemetery of your choice is never more than a few blocks from home. and a deep dive with Éliane Radigue. The Persuasions Papa Oom Mow Mow Chirpin' Elektra 1977 Composed by a songwriting team in 1962 for the Rivingtons. Phil Minton & Roger Turner Concert Recording Roulette Concert Series Roulette Archive roulette.org 6 Dec 87 London free improv legends: Minton, vocals; Turner, drums. Excerpt. Luke Stewart Concert Recording Fire Over Heaven Series Outpost Artists Resources 17 Jan 19 Acoustic bass with manipulated amplifier feedback. DW edit. Éliane Radigue The Resonant Island L'Île Re-Sonante Shiiin 2005 The uncompromising French electronic music composer, born 1932. Howdy, Ridgewoodians! I like the gear pic in the playlist! Hi David & Ruth! 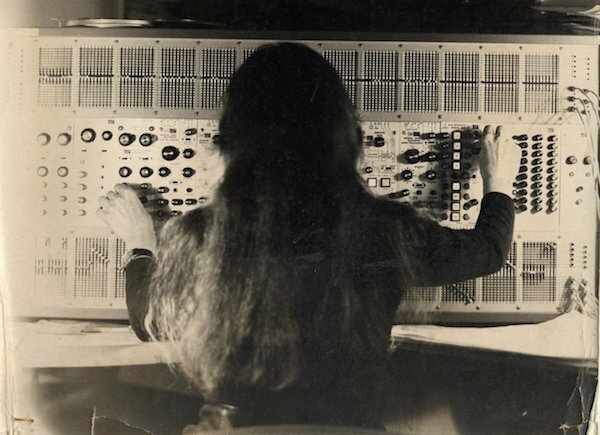 Éliane Radigue needs more exposure! James, Henry, and of course poor tortured Stanley. Hello! OK, ears open, ready for come what may. Hello, David, Ruth, the Outpost Arts Resources folk, and all. All good steveo, busy month unfolding, but all cool stuff. And hello Sem! yeah I saw your name in the wfmu newsletter! Sir Doctorjazz Your Honor ,if you please !!!!! Hello from Downtown halls of justice! Hi, chresti. We're big with the legal community! Hello DJ Dave. This may be my first visit to this show...unless I forgot. Thanks, NGH and welcome TDK60... I've seen you around the stream before. Thanks, Jeff. He''s out of DC and in some interesting groups. Hello, coel, happy to see you and your Volvo drive by. mind if i park here for a spell? How have I not heard of him before, this is gorgeous! where can i buy a broken amplifier like that! Today is what, in those countries? missed that..
Yeah this music comes and goes and sometimes you yourself may feel disappeared! I can't imagine that i have killed you, or even put you to sleep. Are you all in bliss mode? Blissing out indeed on Radigue. Almost there, so saying thank you to all. This put me in a nice state. but madness wlll emerge again! Thank you for this 2 hours, thank you.